NEW FORMULA: Now with up to 15% absorption !! T98 shielding paint effectively functions as a mirror and bounces the RF radiation back. In our latest formula 15% of the RF is absorbed and so what is bounced back is less. The normal approach is to essentially create a box which provides protection from all sides and creates a much lower RF exposure inside. In the process of applying T98 it should be grounded. Once grounded the surfaces protected with T98 are grounded and will help lead away the electric field exposure that is caused by having electrical wiring in the wall or ceiling behind the paint. When the room to be shielded is on the ground floor, the shielding of the floor can normally be skipped. On the first floor one should consider, and on the second floor one should definitely shield the floor as well. Paint might not be the best option for that. Consider GPA mesh placed under carpet or floor boards instead. Ask your consultant for details and suggestions. Electric fields are the MOST common problem found in bedrooms as the relentless exposure couples onto the sleeper and exposes them to an unnatural 50 or 60Hz frequency all night long. When T98 is between the source and the person, it provides an effective barrier to reduce the exposure to electric fields. NOTE: If the paint is applied to the other side of the surface and the wiring is ‘inside’ the shielded area with you, then you would nor receive this added benefit. eg painting the ceiling of the downstairs room to shield the upstairs bedroom against RF from below. The wiring of the ceiling lighting would then not be behind the paint when standing in the upstairs bedroom. Shielding 1 wall or an area that does not result in a ‘box’ should be carefully considered. Firstly other sources of radiation can be penetrating the room from unprotected sides and be reflected in the surfaces that are shielded and are likely to produce disappointing absorption levels of RF in the body. Secondly, with sides left open, a change in the outside environment (new phone towers going up) can change the exposure inside dramatically without you knowing. Therefor regular assessments and testing of the body absorption of RF should be planned for. Shielding does help well against electric fields but it does so only on the surface and ‘up to’ the outlet (power point). If a bedside light is plugged in and placed on a bedside table, it’s cables will likely pull the electric fields back into the room to some extend. The combination with well placed circuit cut-off switches (needs home assessment by professional to find the offending circuits) is there highly recommended. Why is T98 so different and the only shielding paint worth while? The old time legend has been improved further. 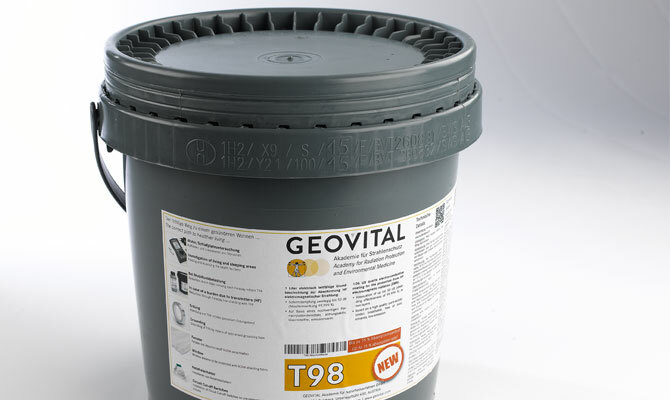 Geovital developed this shielding paint with long-term successes for patients of our clinic as the benchmark and a clear realisation that the 0 to 4 Ghz range should not only be focused on. As the long-term health of our clinic’s patients/clients has always been the aim, short-term success with possibility of long-term problems was unacceptable to us. T98 sets the world standard in both shielding effectiveness and suitability for long-term natural health strategies. The paint has a purely acrylic base. It is breathable, solvent-free and has extremely low emissions. It can easily be applied on dry, clean, grease-free solid surfaces with a rough surface roller (Available at hardware stores). IMPORTANT: Shielding paint does not shield against low frequency magnetic fields from sources like transmission lines (the big walkers), street powerlines, power supply cables to the property, the power cables of a meter box etc. 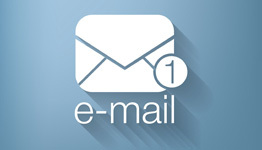 If this is you main problem, speak to one of our consultants or offices. IMPORTANT: T98 must be grounded! In accordance with current EU legislation, Geovital advises that all surfaces must be grounded by a qualified electrician. This may also be an insurance requirement. The surface area must be solid, clean, grease-free and dry. Apply two coats with a high quality paint (rough surface) roller. Maintain a clearance of 2cm from electrical equipment. Ideally tape these areas off before you start. T98 can be painted over with coloured paint after 24 hours. We recommend investigating healthier top coat options. For safety reasons, all surfaces must be grounded on the ground wire of the electrical system or by contact on a stripped section of central heating pipe (EU regulation) by a qualified electrician. 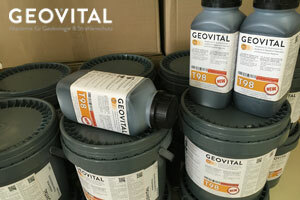 We strongly recommend Geovital’s accessory ‘grounding tape’ for this purpose. Five litres of shielding paint covers an area of about 40 m² (430 ft²) if one coat is applied. However, as the exposure to radiation from mobile phone towers and directional transmitters increases every year, you need to apply two coats to ensure adequate protection! Experience shows that 10 litres of shielding paint will suffice for average-sized bedrooms (17 to 18 m² / 183 to 193 ft²) when two coats are applied. The actual coverage depends on the absorption of the surface beneath. For surfaces with high absorption, we recommend that the walls be prepared to address the high absorption. This will reduce the amount of T98 shielding paint required and avoid unnecessary expense. Volatile organic compounds (VOC) content: This product (cat. A/a) contains only 0.2 g/l (grams per litre) VOC compared to the EU limit of 75 g/l prior to 2010 and 30 g/l after. T98Alpha – Why is it the only shielding paint worth investing in? What makes it so different? Q&A – Should I shield one bedroom wall with shielding paint?